Aldi Nord and Aldi Süd advertise together in one TV spot - but each seems to want to convey different messages. Aldi Nord has discovered the advantages of cross-national buying and selling of branded goods, Lebensmittel Zeitung writes. Although the ranges will continue to be tailored to the different national markets, there are now many products that Aldi Nord sells in largely identical form in different countries. The discounter now aims to make purchasing processes more efficient across borders by bundling buying centrally. To date, the company has not been known as a retailer that negotiates complicated pricing arrangements with manufacturers, the paper writes. Manufacturers appreciate the simplicity of relations with Aldi, which is regarded as a predictable and reliable business partner that guarantees good sales volumes. Nonetheless, it is understood that the discounter will ask the industry to reward the efficiency advantages gained. At the same time, Aldi Nord has extended its promotion days from two to three a week, now including Saturdays. This is accompanied by a new marketing campaign, both instore and above the line. 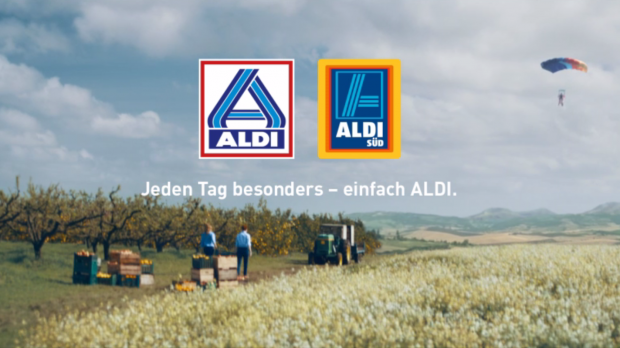 For the very first time in Germany, Aldi Nord and Süd are broadcasting TV spots featuring single products from their ranges. The first spot features fish fillet, toothpaste and fresh fruit and vegetables, ending with the strapline “Every day special – simply Aldi” (Jeden Tag besonders – einfach Aldi). There are moments when you just don't know - is it so brilliant that you can't see through the genius? Or is it just – nothing special? One must remember that Aldi is in many ways a beginner since its decision to be more than just a discounter. Combining international purchasing for brands, not just private labels, is such a step that Aldi, if it were a conventional supermarket, would have already taken fifty years ago when it made its first step abroad in 1967. The same inexperience applies to marketing, at least in Germany. "Aldi informs" has ruled advertising activities for decades. Objective, sober, honest, simple. Simplicity has remained, with the slogan "Einfach Aldi", which has now been extended by "Every day special". But from here on in Aldi enters new territory; and the concept starts to be a little shaky. Aldi's concept is undoubtedly an "every day" concept in the best sense of the word - low prices every day, a reliable and equal offer every day, with variations in food and non-food. But what's “special”, every day? Can any shopper really name anything that is “special”, every day anew, at Aldi? The TV commercial is of course made to a highly professional standard - we wouldn’t expect anything else from Aldi Nord agency Back Room McCann. However, there seems to be a great disagreement between Aldi Nord and Süd in terms of message and appearance. The spot is incoherent and it is divided into two separate parts: exactly in the middle, 23 seconds into the 45 second ad, it transforms from a realistic to a surreal world, in which pineapple and bananas are harvested together with tomatoes and peppers, piled on a mile-high mountain. The message from the first half is product origin and goods of the highest quality; the message from the second half is essentially that Aldi has loose fruit and vegetables (a novelty for Süd). Obviously, the first half is Nord's; the second Süd's - a brotherly divide. Interestingly, there is no sign of the spot nor the campaign on the Aldi Süd website. Not even the new slogan shows up. Instead, Aldi Süd has opted for a "no Aldinative" campaign, on the run up to the Bundestag elections. A dangerous game, because it is easily misleading – the same blue background is used by a right-wing populist party, "Alternative for Germany"; and the similarity of the names (albeit with "no" in front of it) could be misunderstood by fleeting viewers. At the same time, further advertising campaigns are underway. One of them promotes new branded products at Aldi Süd, while at the same time highlighting private labels that are "feared by leading brands”. Over the weekend, Aldi Nord has hung up new ceiling banners for the new campaign and removed the not so old ones. Those had made fun of the all-too vast variety available elsewhere, saying that there was no right-spinning pasta from the Himalayas, all communicated in somewhat complicated German sentences with many commas. At the same time, however, Aldi is promoting its own new varieties through a constantly expanding range of products. It seems that for Aldi, marketing is still an area of experimentation. We are not used to Aldi's current lack of consistency in advertising, but obviously we just need some patience. The expedition has only just begun. But what is clear is that Aldi Süd and Aldi Nord will not align so easily.